Reason for changing the tailpiece is manifold. A necessity for changing a tailpiece can be a not working tailpiece or the request for other materials to gain advancement in sound. • All strings must be removed for changing the tailpiece actually. Please keep in mind (especially if you want to change the tailpiece itself) the sound post can change its adjustment or in worst case turn over - due to the missing tension of strings! 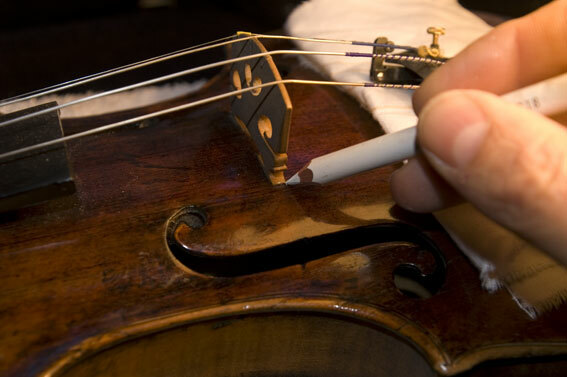 • Before removing the strings please put a soft tissue under the tailpiece to protect the varnish. • The brigde position should be marked with soft write-all pens. Do not use a pencil, because it will damage the varnish. • The instrument should not be compressed horizontally or vertically when no strings are fixed on the instrument. This could happen e.g. when holding the instrument within legs or arms. A slight pressure on the ribs in the middle can make the interior become bigger and the soundpost which clips between belly and back turns over. If everything is successfully made you could use this condition to clean the belly of the instrument. Therefore please lay the instrument on a good upholstered subsoil. Please do not press the ribs laterally. 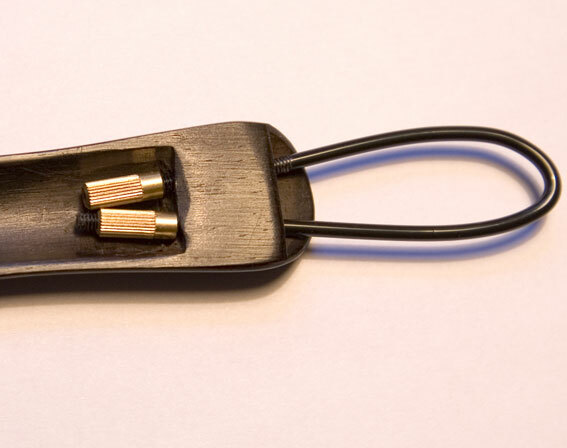 Normally for changing the tailpiece you will need a new tailpiecehanger. There are different types of materials to choose which cause changes in sound. 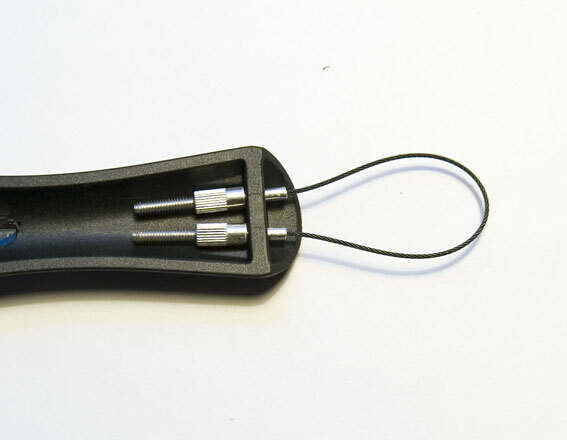 The easiest way is the screw loop tailpiecehanger which is made of solid nylon. It has a screw thread on either side with a brass nut on top. For changing the tailpiecehanger plug both ends through the borehole of the string holder and screw it together. The possibly oldest option to hang in a tailpiece gives the tailpiecehanger made of gut. It is scorched with a flame on its ends. During this action the ends are clod. 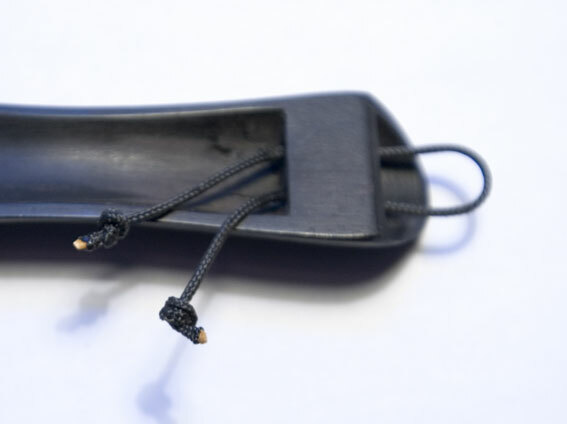 Relatively new is a tailpiecehanger with Kevlar/Carbon fiber. Its end are multiple knotted. All different materials sound differently. This is due to net weight and its damping features. This regards to tailpiecehanger and tailpiece. Due to the length of the tailpiecehanger and the tailpiece the length of the string between bridge and tailpiece is affected. According our experiences the sound of the strings should fit harmonically to the tuned instrument. Please note: each instrument responds individually different and needs the right fitting of tailpiece and tailpiecehanger for itself. Experiment a little bit with the lengths.